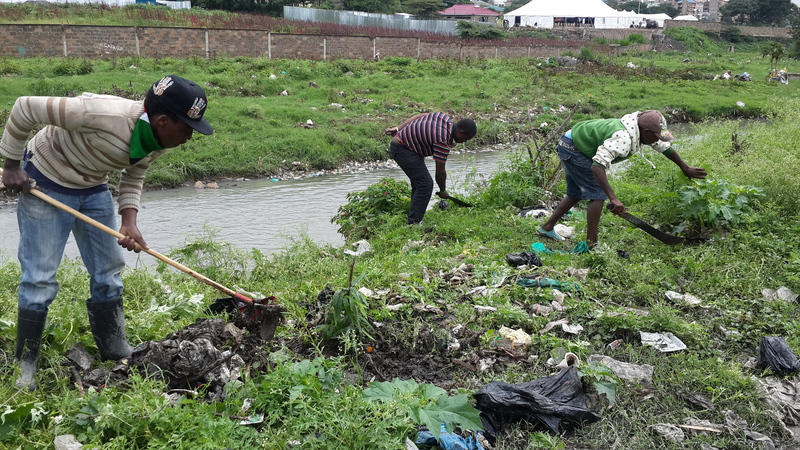 Many youth groups in the slums of Nairobi are eager to plant bamboo, especially along the rivers running through their city area. These rivers when flooding, overflows surrounding areas with garbage, areas that can be used as farmland, recreation land and for growing renewable fuel / biofuel as bamboo. Bamboo serves as a protector for the riverbank, stopping soil erosion, prevents the garbage to overflow the areas, beautifies the environment, and acts as a source for green fuel. Here bamboo planting in Embaksi. 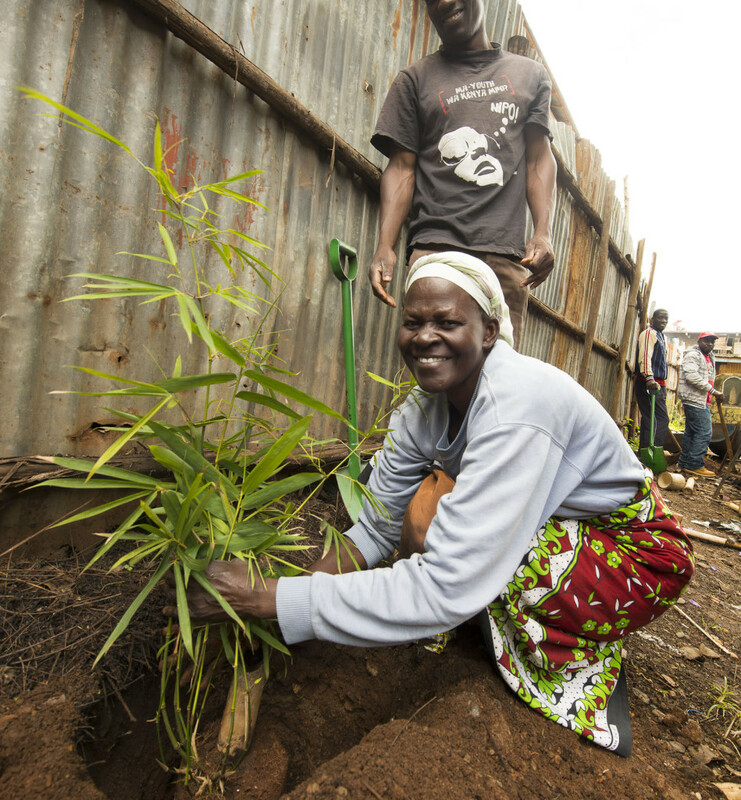 Planting of bamboo in the Mathare and Korogocho slums. 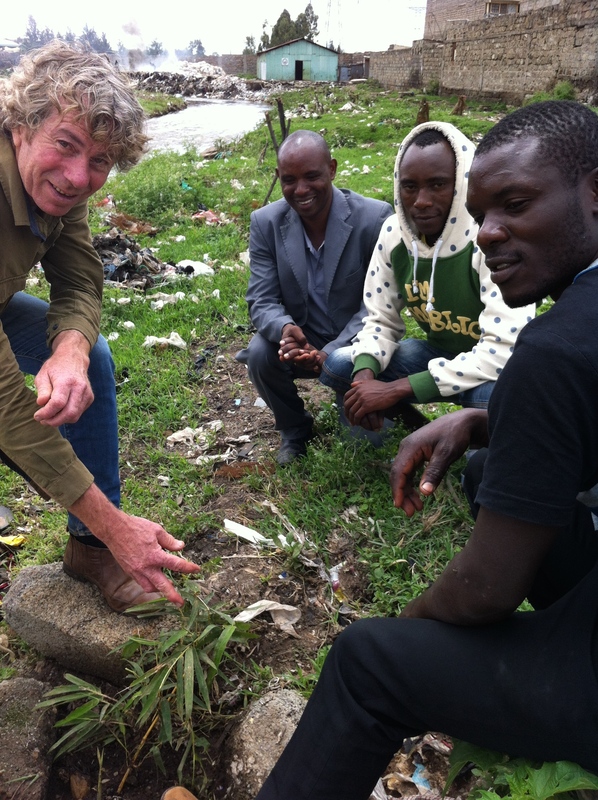 Planting followed up by bamboo workshops held by Waterstone.